Spotted laurel is a broad leaf evergreen shrub native to China, Japan and Korea where it grows in moist forest soils. 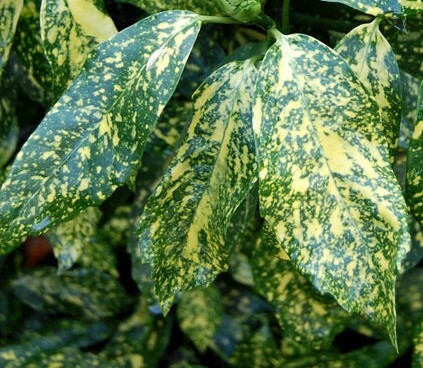 Its variegated forms are very useful in both the garden and flower arrangements because of the color and texture of the foliage that is the main reason for growing the plant. 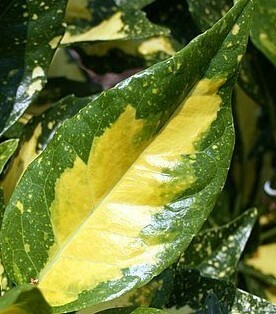 The leaves may be all green or variegated by a sprinkling of yellow-to-yellow leaves edged with green. They are two to three inches long, l-2 inches wide, and glossy. Male and female flowers are usually on different plants and are small (less than 1/3 inch). They have four purplish brown petals, and are produced in loose clusters of ten to thirty. The fruits are small scarlet berries about 1/3 inch across and are not attractive to birds. 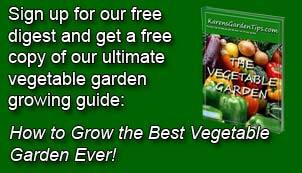 Established plants are tolerant of drought, urban conditions, lean soil, salt spray, and dry shade. How can it get better than that? Conditioning: Make vertical cuts in the bottom of stems and give long deep drink; mist to maintain freshness.